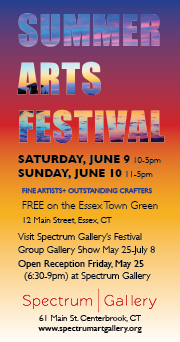 The non-profit Spectrum Art Gallery and Arts Center Killingworth hosts the 3rd Annual Summer Arts Festival fundraiser event on Saturday, June 9, 10-5pm and Sunday, June 10, 11-5pm. 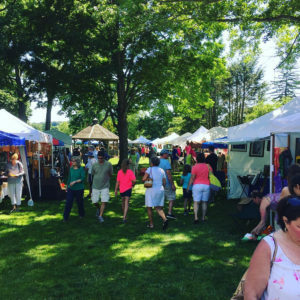 The free festival presents award-winning artists and fine artisans from Connecticut and tri-state area. 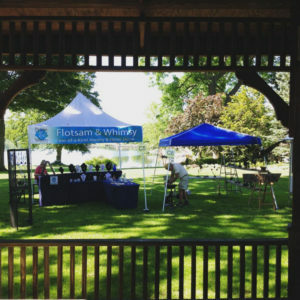 Located on the Essex Connecticut Town Green (12 Main Street in historic downtown Essex) the Festival includes representational and abstract painters working in oil, acrylic and pastel, as well as, photographers, potters, glass artisans and jewelry designers. 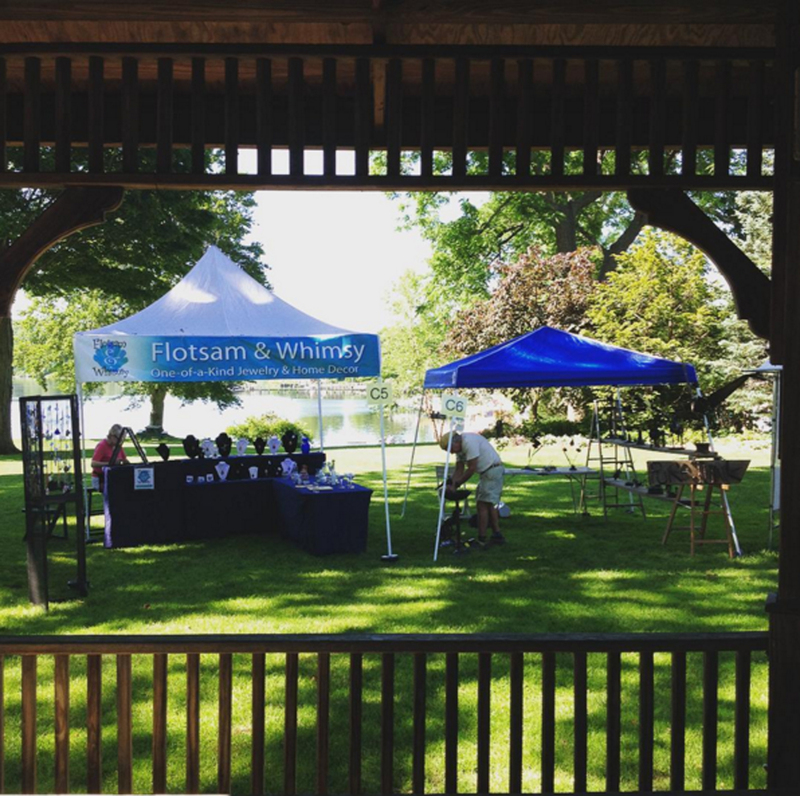 Artisans exhibiting are those working with mixed media collage, wood, glass, fabric, silver and more. 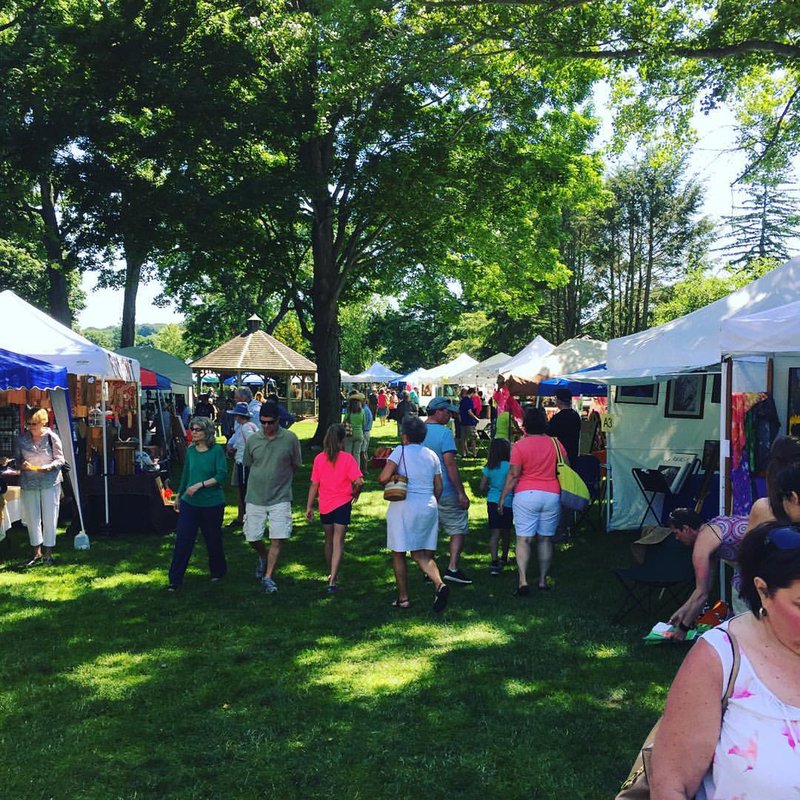 20% of purchases at the festival helps the arts organization continue to develop educational programs and enriching events for our community! This exciting, annual event also includes a six-week group gallery show at the Spectrum Gallery and Store of select pieces by participating Festival artists from May 25-July 8, 2018. There will be an Open Reception for the Festival and Group Gallery Exhibit, FREE to the public on Friday, May 25 (6:30-9pm) at Spectrum Gallery with refreshments. Spectrum is located at 61 Main Street, Centerbrook, CT and is open Wednesday-Saturday (12-6pm) and Sunday (12-5pm). For more information call (860) 767-0742.